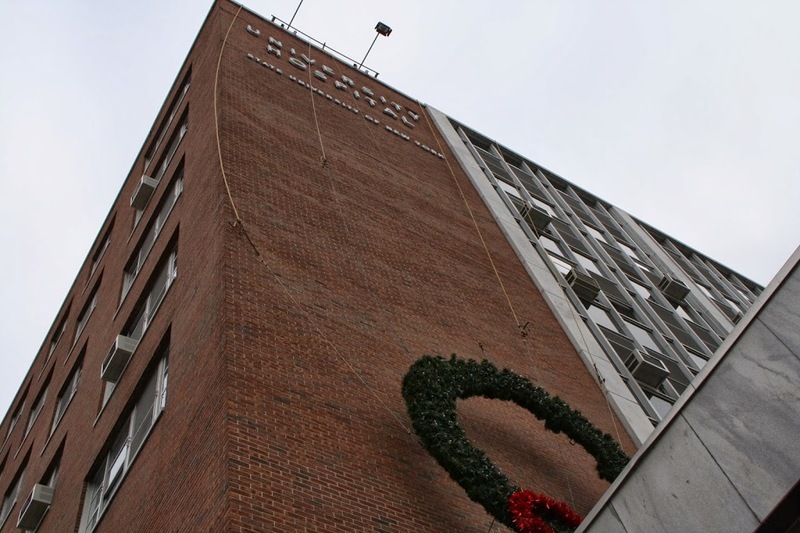 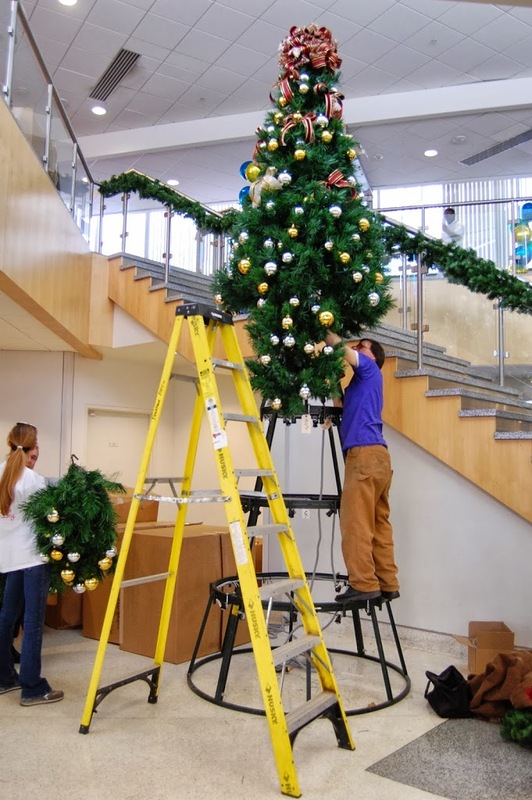 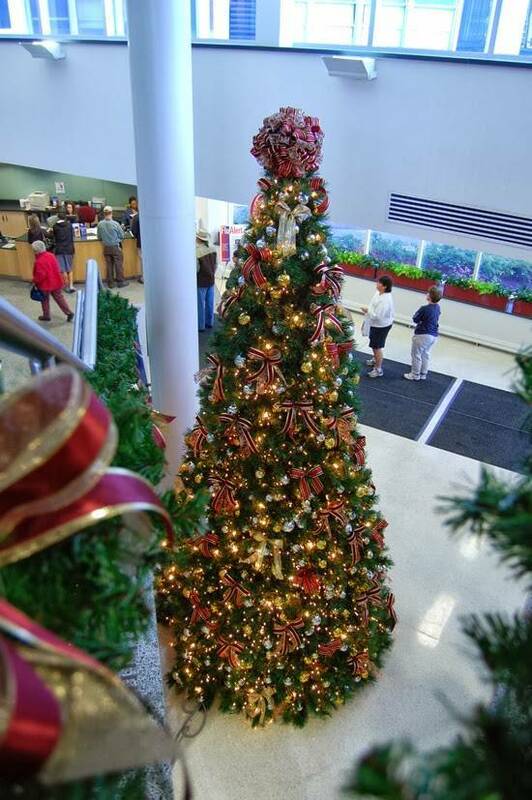 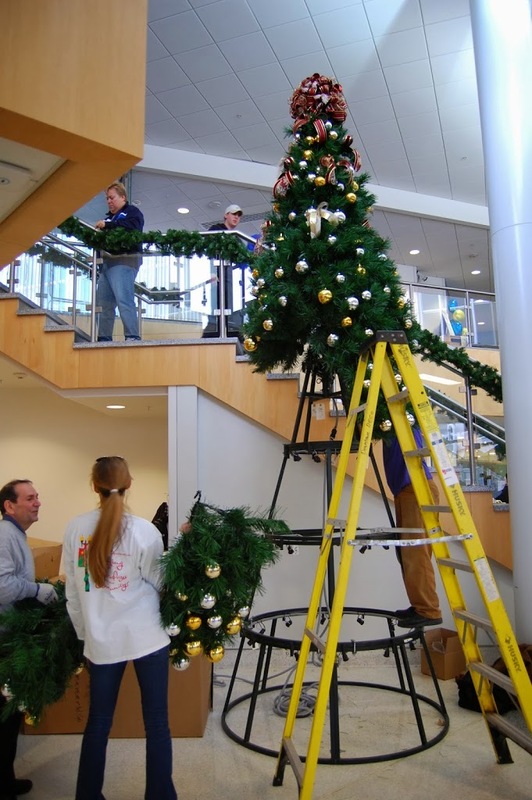 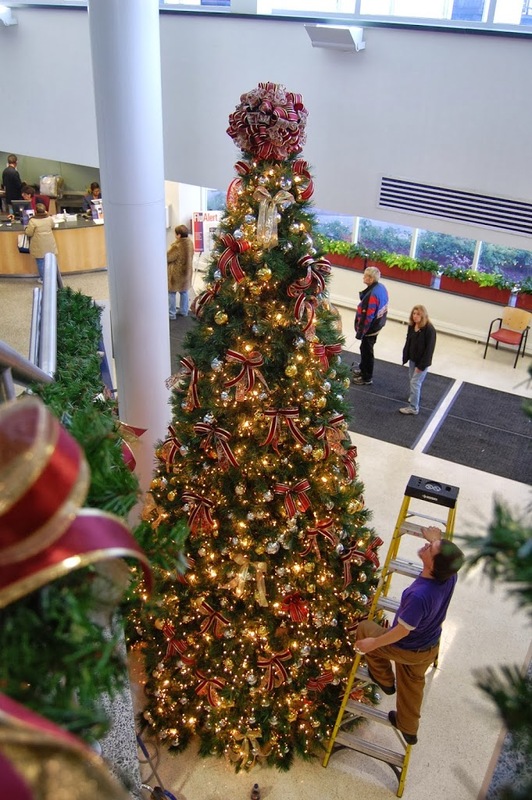 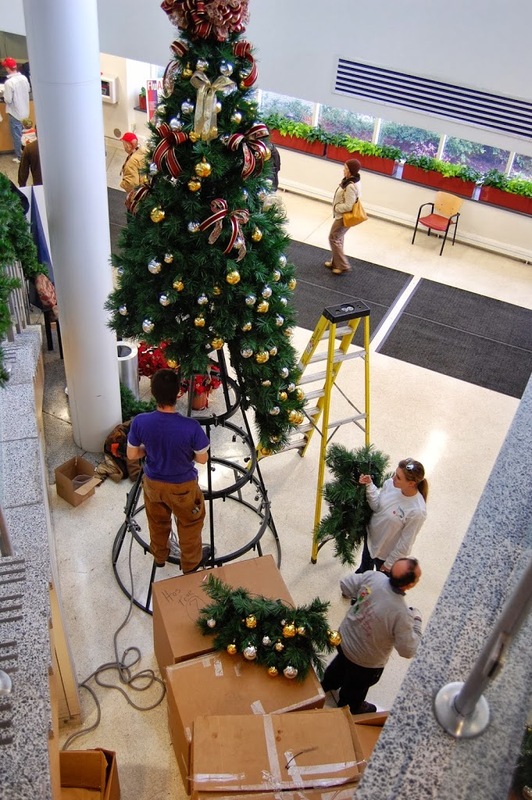 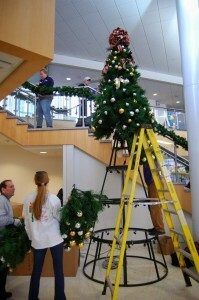 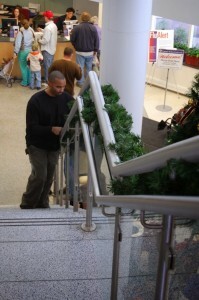 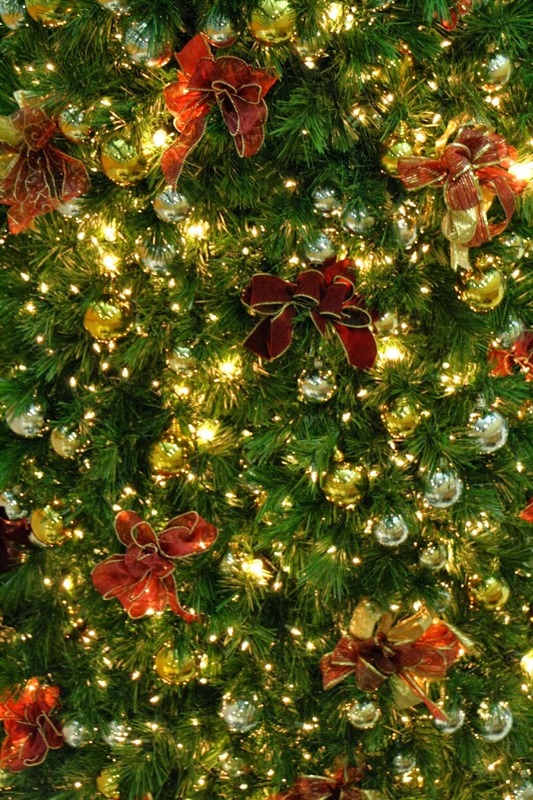 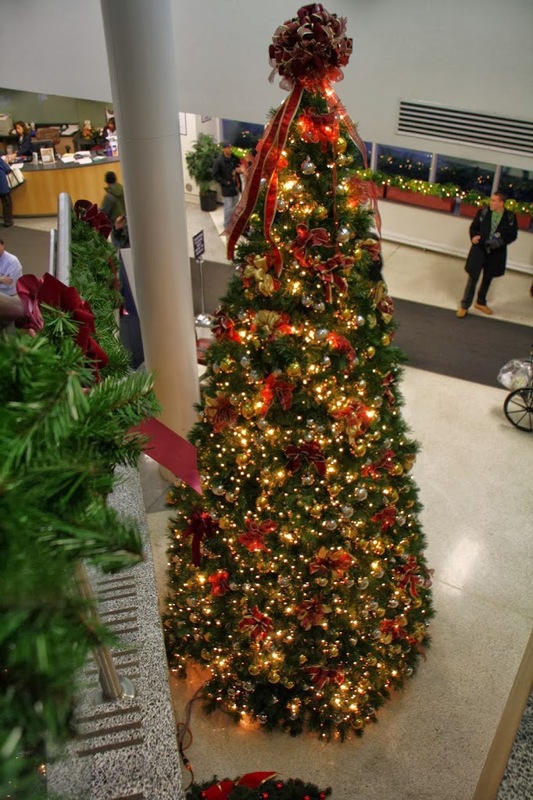 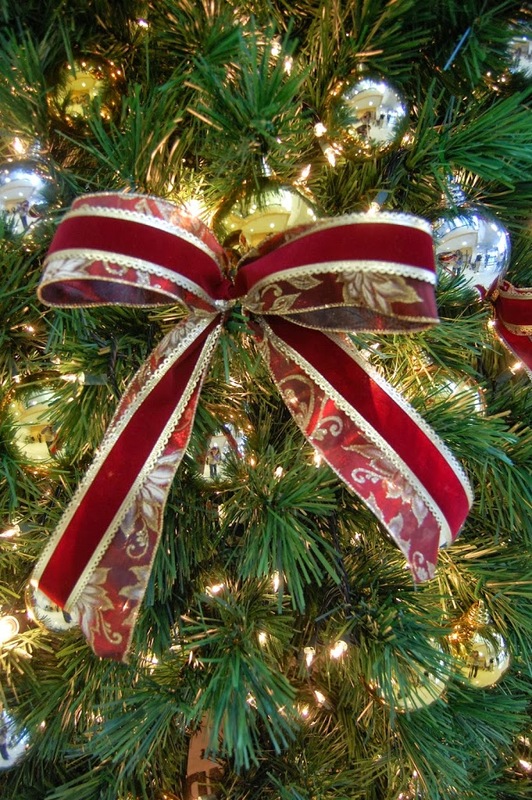 Every year for over 10 years, we have installed a holiday décor program for SUNY Upstate Medical University. 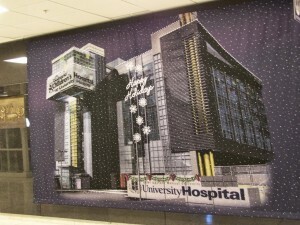 The Syracuse based medical center, which includes a teaching hospital, is one of the largest in the entire state of New York. 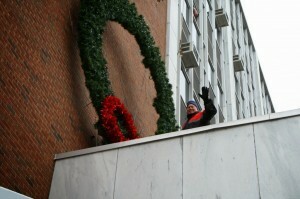 The project features many unique pieces, including a giant wreath mounted on the outside of the main building. 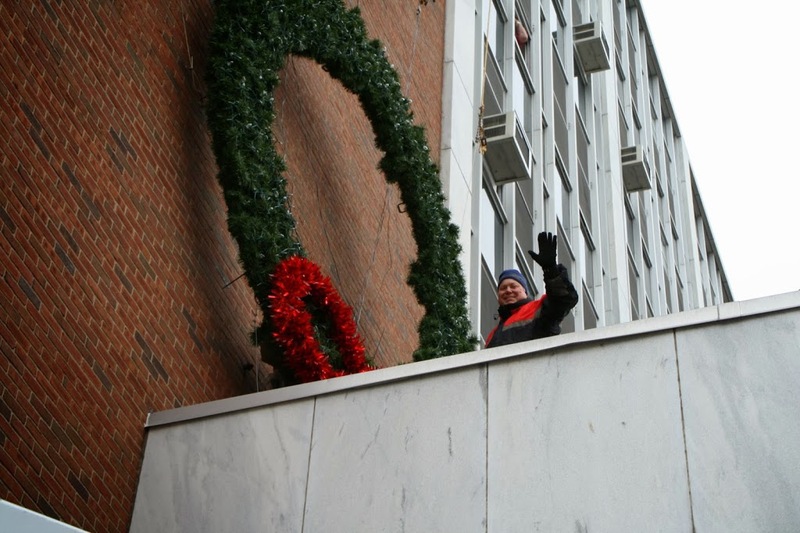 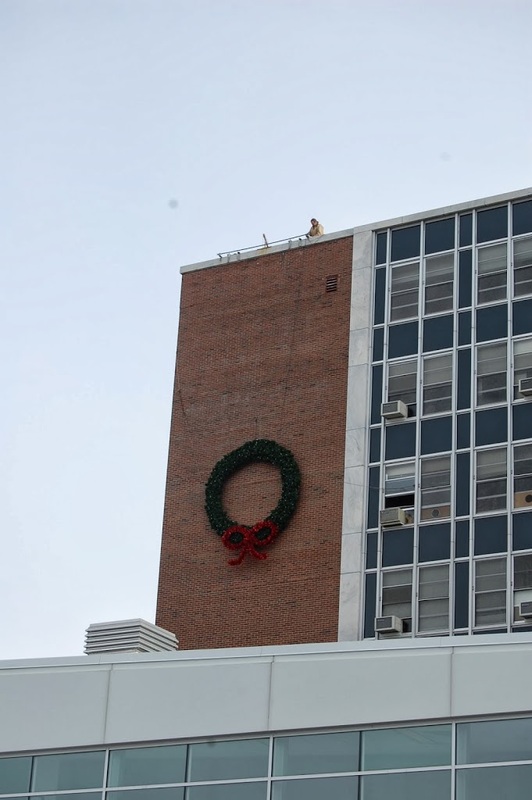 The wreath hangs approximately 60 feet in the air, which makes it visible to all traffic passing by on I-81. 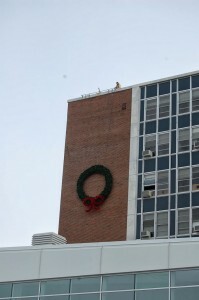 The rear of the building, where the entrance to the teaching hospital is located, is also decorated with a large wreath. 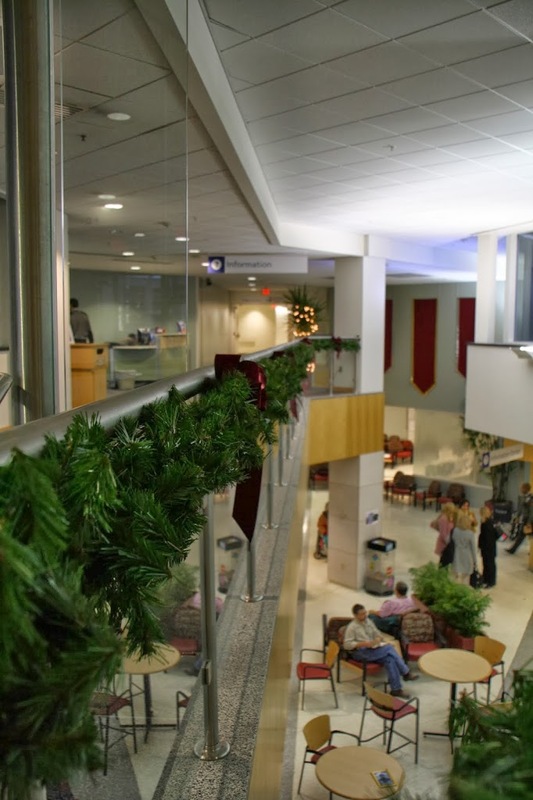 We incorporate the old period poles on the gateway to the entrance into our design by adorning them with wreaths and pole wraps. 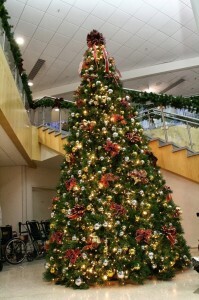 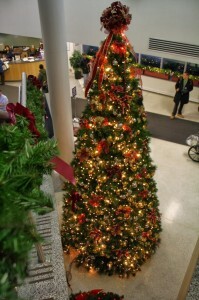 The inside of the teaching hospital features a giant lighted tree in front of the main stairway. 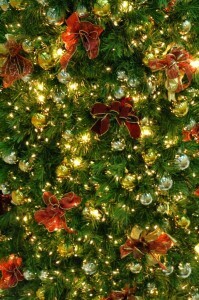 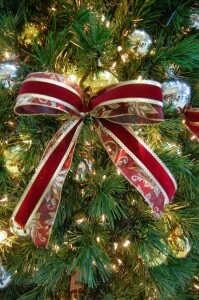 We also enhance the railing behind the tree by adding our pine garland. 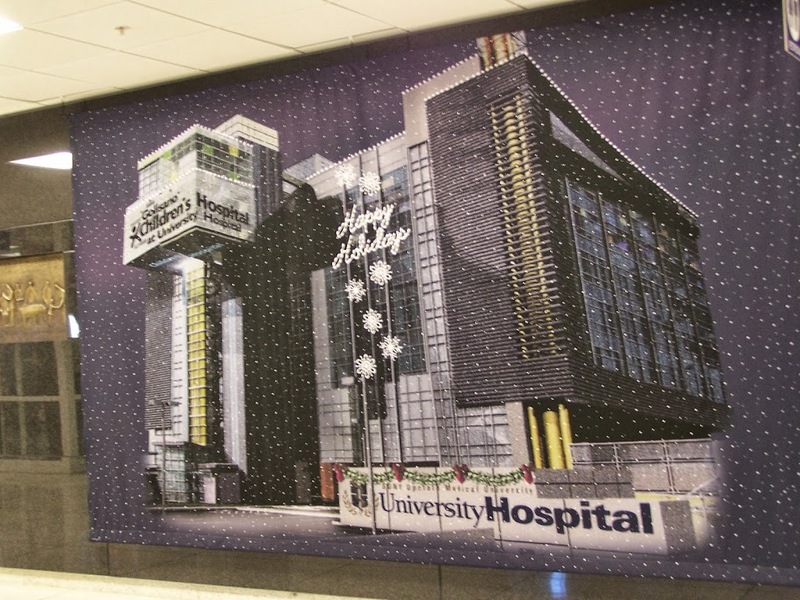 There are many other items featured in the holiday décor program, including a large 30 ft. by 10 ft. wall banner and decorated sprays. 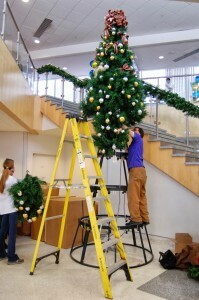 To see more pictures from our install, click the read more button.